The history of American business is littered with companies that crash and burn. Sometimes they fly so high they attract attention from antitrust regulators. That's what happened with John D. Rockefeller's Standard Oil, which grew so big that a federal judge ordered it broken into pieces. Sometimes poor management or fraud are the culprit, like when energy giant Enron imploded. And sometimes technology overtakes a company, like when Henry Ford put the buggy whip manufacturers out of business. Last week, another corporate stalwart threw in the towel. You've heard the sad news. 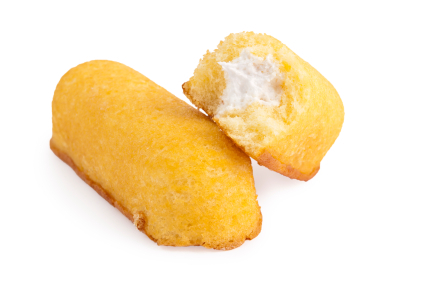 Hostess Brands — maker of Wonder Bread, Ding Dongs, Ho Ho's, Sno Balls, and the pop-culture icon Twinkies — filed for bankruptcy in January. But last week, citing a strike by members of the Bakery, Confectionery, Tobacco Workers and Grain Millers International Union, the company announced they would wind down their operations and liquidate their assets. The move leaves over 18,000 Americans jobless just as holiday baking season moves into high gear.